Why do bad things happen to good people? Is there really any justice in the world? Since ancient times the secret doctrine has taught the law of karma and its twin doctrine, reincarnation, as an explanation to these and many other mysteries of human life. Ceaseless in its operation, the cycles of cause and effect bear alike upon solar systems, planets, nations, families, and individuals. Karma means action, and our minds are the real planes of action. William Q. 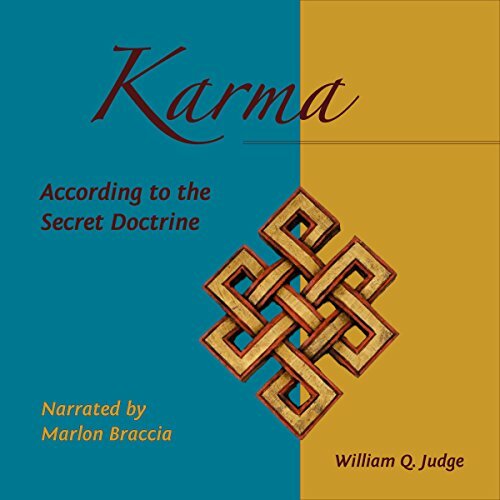 Judge gives a comprehensive explanation of the three classes of karma and its three fields of operation that leaves no room for coincidence and points to human beings as responsible coworkers in a living universe.